Wearable devices that track steps and monitor sleep may have been dismissed as fads, but Fitbit’s upcoming initial public offering paints a different picture. Wearables like Fitbit’s health and fitness trackers may not be as ubiquitous as smartphones, but they are becoming must-have devices for millions of people. Moreover, their technology has room to mature so that future models of these devices can offer new wellness benefits, and thus retain existing users and attract new ones, said Ramon Llamas, an IDC analyst. Fitbit can please investors with its global distribution network and varied portfolio of products, which meets the needs of entry-level buyers as well as high-end consumers, Llamas said. But beyond investors, people in general are really excited about what new “experiences” Fitbit’s devices and, by extension, wearables can provide. This helps explain Fitbit’s decision this week to raise its IPO price range to US$17 to $19 a share and to increase the number of shares it will offer to 34.5 million. Fitbit initially said it would issue 29.9 million shares priced between $14 and $16. These new figures give Fitbit a valuation of up to $3.9 billion approximately, and mean it could raise as much as $655 million when it goes public this week. The San Francisco company is expected to set the price for its IPO today and begin trading Thursday on the New York Stock Exchange. Fitbit’s IPO comes as more companies are entering the wearables market, including most notably Apple, whose smartwatch includes health tracking features. 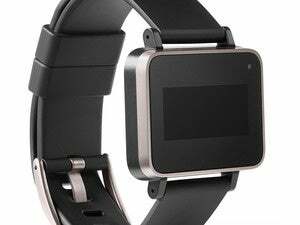 Google’s Android Wear platform runs wearables that can be used for monitoring fitness activities. But smartwatches that, in addition to health and fitness functions, also offer communication features, like the ability to receive email and text message notifications, aren’t a threat to Fitbit, said Angela McIntyre, a Gartner analyst. “There’s an advantage to having a device that’s oriented more toward fitness tracking,” she said. Compared to smartwatches, fitness trackers typically offer longer battery life and simpler user interfaces, she said. In Fitbit’s case, its devices are generally more affordable than smartwatches since they have fewer features and therefore less components, McIntyre said. For example, an entry-level Apple Watch costs $349 compared to $99.95 for Fitbit’s two entry-level devices, the One and the Flex, and to Fitbit’s most expensive product, the Surge at $249.95. In addition to appealing to consumers, lower prices can also attract businesses interested in getting Fitbit devices for their employees as part of corporate wellness programs, said McIntyre. Companies may find that giving workers a Fitbit to encourage healthy living leads to lower health care costs, she said. While McIntyre couldn’t provide figures on how many Fitbit sales are made to businesses, she pointed out it has a program for companies interested in using the devices for wellness programs. Fitbit didn’t respond to a request for comment. 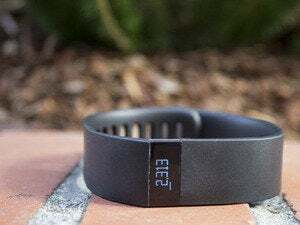 Fitbit’s main competitors are other fitness trackers vendors including Garmin and Jawbone, which recently filed two patent-infringement lawsuits against Fitbit, as well as Asian consumer electronics companies like HTC and Xiaomi, according to Llamas. Xiaomi was the world’s second largest wearable vendor in the first quarter of 2015 based on device shipments with Fitbit ranking first, according to IDC. To fend off rivals, Fitbit needs to use the data its devices collect to deliver health notifications that are relevant to users, Llamas said. “Fitbit has done a great job with individual data like calories burned, but what should it tell me to have a better life?” he said. For example, a Fitbit could suggest going to bed early on a Monday if a user didn’t get much sleep over the weekend, or it could predict the onset of an illness with the addition of a sensor to measure body temperature, Llamas said. “These are the forward-thinking applications that Fitbit could grow into,” he said, adding that Fitbit doesn’t need to develop a smartwatch with functions that go beyond health and fitness tracking. While developing services to provide users with wellness insights is key to keeping Fitbit competitive, smaller changes, like adding sensors and improving battery life, can also go far in making its products stand out, McIntyre said. Entering partnerships with health care providers and insurers is another way for Fitbit to grow and protect its market share, she said.